We recently shared with you our suggestions for setting up and maintaining an organized classroom. To organize oneself is only half the battle, the other half is the kids. No matter what grade you teach, or what age child inhabits your home, you probably have some that are "organizationally challenged". * Make sure that areas of your classroom are well defined and labeled. Students should easily be able to locate items and also put away items without confusion or the wasting of time. Our newest kit can help you establish organization, with style, in your classroom. * It's important to have children start and finish their day on an organizational high. This alleviates stress and anxiety at the start of our school day and as we bring it to a close. A defined homework area is important. 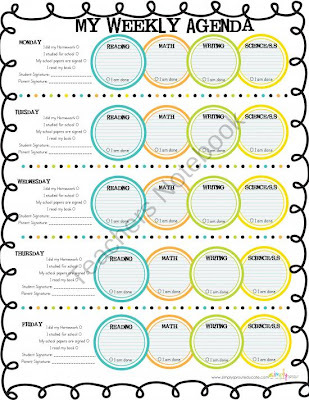 Students know that homework will be turned in to the homework trays at the start of each day, previously absent children can pick up any missing work in this area, and nightly homework will be listed all day for them to write in their planner. * Speaking of planners, it's pivotal that children, even in elementary school, begin to take responsibility for their past, present, and future tasks. Writing down daily assignments, upcoming projects, future field trips, etc. is key to staying organized. It's also important as a parent to monitor what's being recorded in their planner. 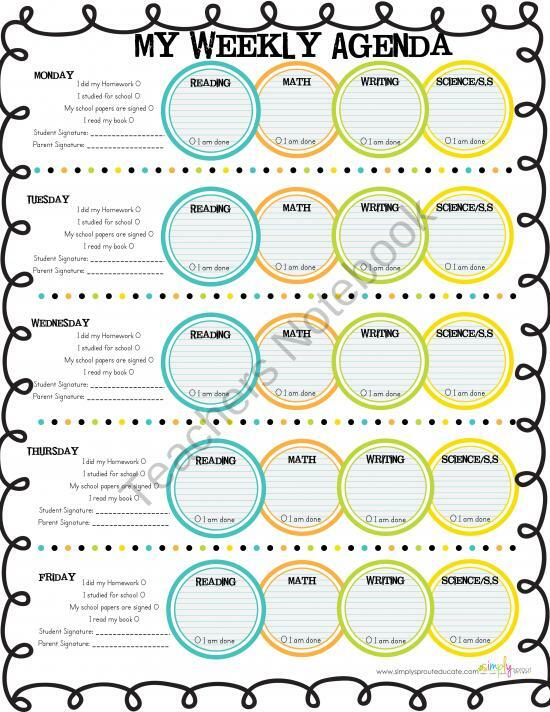 Check out our Simply Sprout Teacher's Notebook store for a FREE weekly agenda sheet to use at school or home. * Students should have resources at their fingertips. Within reach a child should be able to locate paper, pencils, and their books for smooth transitions between subjects. A three ring binder is great for this! Students' binders should have a table of contents, labeled dividers, a zipper pouch for loose items, and extra notebook paper. * Treat their time at school like a job (a fun one at times!). From the way that they behave, sit, speak, and how they treat their work. At the beginning of the year ask for students to get a plastic accordion folder with a rubber band closure (They have some in the $1 section of Target right now!). This will be their "briefcase" for the year. All homework, graded papers, weekly reports home, etc. come into our classroom and exit our classroom in this folder. The durable plastic folder ensures that papers will not be crumbled, stained, or lost. Just as we wouldn't turn in wrinkled work to my boss, they know their work isn't excepted that way either. Just as important as organization is in the classroom, it's equally important in the home. Take some time to talk to your child about their "homework style". Have students take a survey at the beginning of the year that lets their parents know if they like to play then work in the afternoon, eat a snack first, have soft music playing, etc. in regards to completing their homework. Once you know the environment that's best for your child, establish a homework station in your home. This area (whether it be in the dining room, bedroom, kitchen, etc.) should have all that a child needs within reach. Items like pencils, scissors, glue, markers, rulers, and a timer/clock should be handy. 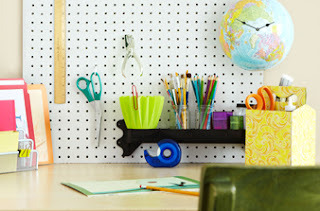 Visit our Pinterest "Get Organized" board to find great ideas for a homework station of your own. 100th Day in School Celebrate with style!